Hardwood flooring in Toronto has a long and storied history, with upper class first enjoying their meticulous installation. Today’s many style and material options make hardwood an accessible and even practical option for property owners. We’re seeing trends that include a much greater variety in colours, as well as expanded stability and strength, allowing hardwood in more areas of the home. Here, we’ll outline a few of the different ways you can use hardwood floors to lay an elegant, luxurious foundation for your home’s design. Once trendy, the high-gloss, varnished look of wood planks is no longer in fashion for most settings. It turns out, shiny, reflective floors tend to show dirt and dents more easily. Over time, their effect can be one of low-grade, rather than high-end. Today’s floor finishes are low-luster, just as they are for wall paint. The less shiny floor surfaces now popular are easier to keep clean and blend well with other décor elements. You’ll avoid the risk of looking dated too quickly if you stay away from high-shine floors. High grade, waterborne polyurethanes are considered environmentally friendly and extremely durable. No longer the fringe option, people today want to completely avoid the off-gassing smells and long drying times associated with volatile organic compounds. Oiled floors (* not oil-based polyurethane) have no VOCs or polyurethane. These natural finishespenetrate into wood to create a warm patina and low gloss surface. Oil finishes can make your wood stronger and won’t change the colour or texture. They also make maintenance easy because scratches can be buffed out quickly with additional oil. * Note, thisoption does require more careful maintenance over time, and will not protect from water damage on the surface. Hardwood flooring in Toronto increases home value without a doubt, but the difference between on- and off-site finishing can further elevate your investment. Site finished wood, installed then finished in your home, tends to look better. That’s because pre-finished wood often has edge issues where the unstained wood colour underneath can be seen, or micro-bevelled edges will create small gaps in the seams to collect dust. It’s difficult to spot these drawbacks in the store, but once installed, you’ll have a less clean finish. An added bonus for site-finishing is that you can customize, test and even change your mind about the finish once you see the wood in the light of your home. Have you seen all the textures available today? In recent years, the availability of exotic wood grains, wider planks and now wire-brushed finishes have taken wood floors to another level. Brushed floors have been etched with subtle texture variation to enhance the wood grain appearance. It’s a modern version of the “distressed wood” look. 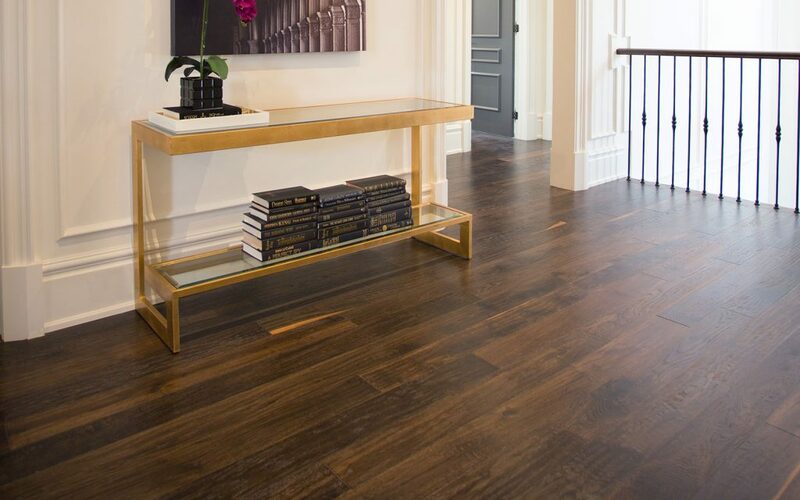 Wire brushing enhances the natural wood grain that’s already present so it can lend a gently worn, vintage look to your floors, and timeless elegance. Because the process is labour-intensive, and may involve a layering of stains, you’ll find these planks pre-finished and ready to install. 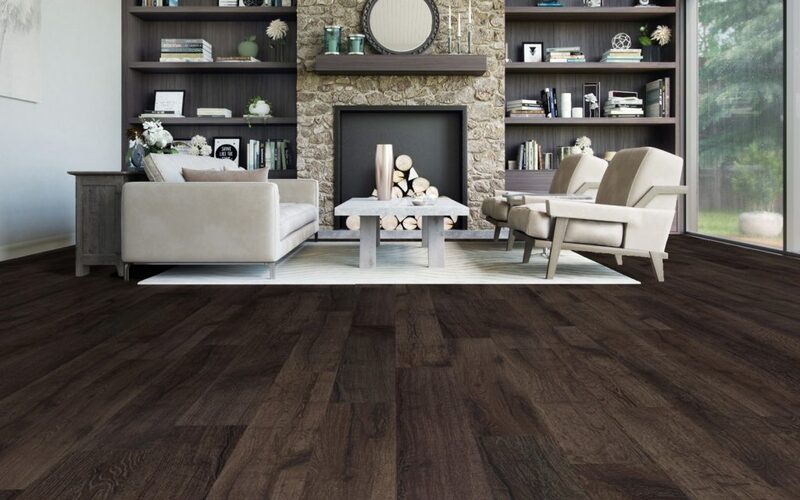 The experts at Chestnut Flooring are available and happy to help when you’re ready to plan your next flooring design. Contact us or come see our expansive showroom today.